The Center has decided to stop India's share of water flowing to Pakistan from three Indus rivers, tweeted Union Minister Nitin Gadkari. He said the government will divert and supply that water to the people in Jammu & Kashmir and Punjab. This comes a week after the deadly Pulwama attack carried out by Pakistan-based Jaish-e-Mohammed following which the India-Pakistan ties deteriorated. "Under the leadership of Hon'ble PM Sri @narendramodiji, Our Govt. has decided to stop our share of water which used to flow to Pakistan. 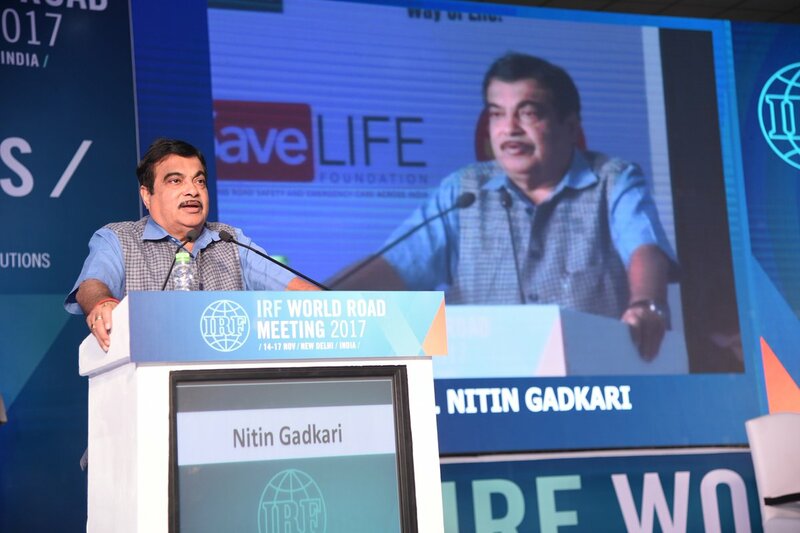 We will divert water from Eastern rivers and supply it to our people in Jammu and Kashmir and Punjab," Gadkari tweeted. Announcing the government's decision on diverting water to J&K and Punjab, Gadkari also tweeted about how the water will be utilized. "The construction of dam has started at Shahpur-Kandi on Ravi river. Moreover, UJH project will store our share of water for use in J&K and the balance water will flow from 2nd Ravi-BEAS Link to provide water to other basin states," he tweeted. As per the Indus Waters Treaty - a water-distribution agreement between India and Pakistan - the former has full rights over the eastern rivers, Ravi, Beas, and Sutlej, while the latter has control over the western rivers, Jhelum, Chenab, and Indus. Gadkari, earlier on Wednesday, said that river Yamuna will have more water once water flowing in the eastern rivers is diverted. The Water Resources Minister said, "The water from our three rivers was going to Pakistan, now we are planning to build a project and divert the water from these three rivers into Yamuna river. Once this happens, river Yamuna will have more water." Blocking the flow of water is the latest in the series of India's moves against Pakistan following the Pulwama attack. India earlier revoked Pakistan's "Most Favored Nation" status accorded 23 years ago to restrict bilateral trade. It also hiked custom duties on imports from Pakistan to 200%. PM Narendra Modi said security forces have been given "full freedom" to retaliate to the Pulwama attack. A convoy of CRPF which had 70 buses was attacked on the Jammu-Srinagar highway on February 14. A Mahindra Scorpio, laced with nearly 350kg of explosives, rammed into a bus. In the dastardly attack, 40 jawans lost their lives and nearly 50 were seriously injured. Terrorist organization Jaish-e-Mohammed claimed responsibility for worst terror attack since the 2016 Uri attack. While the Pakistan-based Jaish-e-Mohammad terror outfit carried out the Pulwama attack, Indian security agencies say that the Pakistan Army and the country's intelligence agency, Inter-Services Intelligence, are involved in the attack. However, Pakistan has denied the same. #CareerBytes: How to join Indian Army as Officer after Class-12? The Indian Army is one of the largest and best armies in the world. Many youngsters dream of joining the prestigious Army to serve their nation with pride.